Time flies. I am lucky enough to be living in the part of the World where we celebrate both Western and Chinese new year. Since Christmas last year my mind and body has been flying, enjoying the bliss of dissonance away from my day job. Just like I am there and I am not really there. It has been a good 2 months of trance state. Chinese New Year to me marks the practical start of the year. At this time all business is at rest. Interestingly when Chinese factories cease production the rest of the world seem to just have to wait – like it or not. Let’s all have a short break, it is nutritious for our soul. Rooster is a very popular spiritual symbol in Chinese culture. The Rooster Spirit chases away evil spirits. We assign the Rooster as a sign of the five important social and relationship virtues – courage, kindness, responsibility, loyalty and confidence. Roosters are the timekeepers of our world. The dependability of Rooster at dawn gives the additional meaning of punctuality and constancy. It is said that self-empowerment begins with the first brave step into the dawning of a new day. At dawn, the awakening Rooster gives us hope, alertness and freshness for the day. Goodbye 2016. The past is the past. It doesn’t matter anymore. May the year of the Fire Rooster bring you the radiant presence of the Divine. Wish you a prosperous, peaceful and happy 2017! This entry was posted in astrology, chinese new year, Hong Kong, Natal Astrology, Oracle and tagged fire, rooster on January 25, 2017 by The Magician. 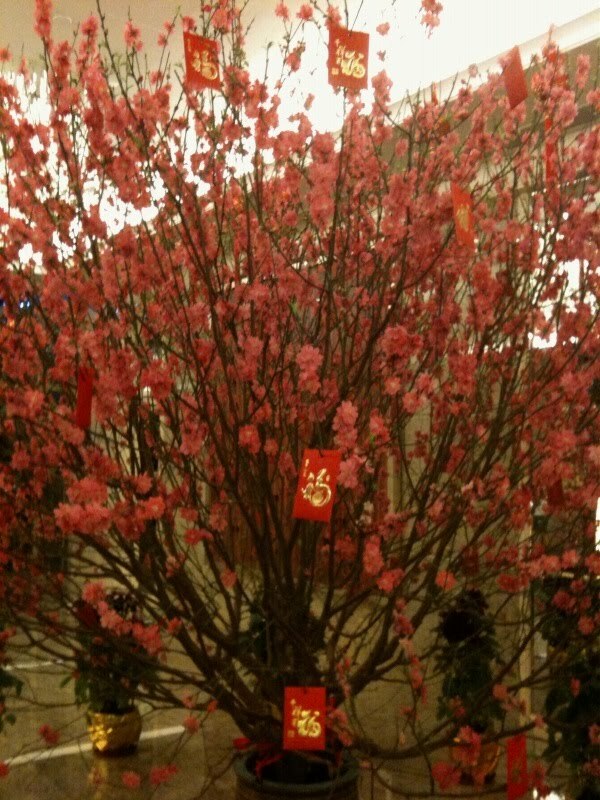 The thing I most loved in Chinese New Year is Peach Blossom. The Chinese associate them with Venus, they are auspicious for love and prosperity. Chinese New Year calculation is based on Chinese lunar calendar (astrologically we should use the Chinese solar calendar to calculate the beginning of a year, usually is 4th or 5th of February). This new year we have new moon in Aquarius. New moon is about beginnings. New moon in Aquarius signifies beginnings of something new and unconventional. Think of the picture of Aquarius, the Water Bearer, who carries his vessel. A vessel can only hold so much. If you want to put more in, you need to first pour a little out. Let the cleansing, nourishing water flows. For all of us – pour out the bad, and pour in the good! Notice that inner and outer spaces of our life mirror each other. If your work has been uninspired, rearrange your office and throw out old papers. If family relationships are not as harmonious as you like, give your home a top-to-bottom cleaning. Unlike the traditional western New Year, Chinese New Year is not about making resolutions. It’s about inviting prosperity into our lives. Enjoy the newly charged air. Receive its promise. And wait for the new inspirations to come pouring in. This entry was posted in astrology, chinese new year on February 11, 2010 by The Magician.